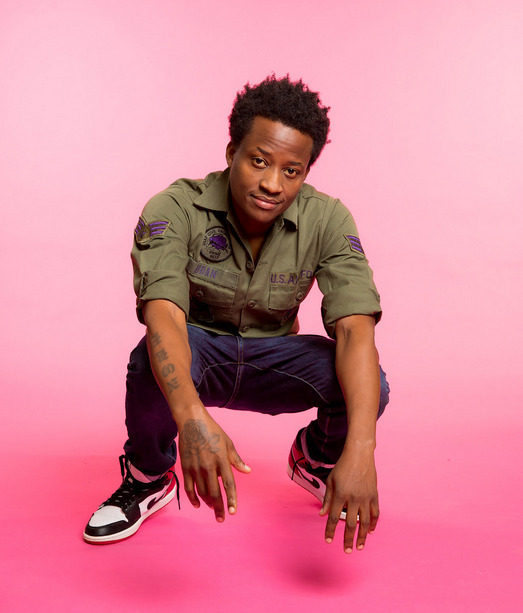 Nore Davis is a New York-based comedian who delivers an energetic performance filled with witty quips and sharp punch lines, combined with an amazing stage presence. He has appeared on Comedy Central’s Inside Amy Schumer, HBO’s Last Week Tonight, MTV’s Nikki & Sara Live, Sasheer Zamata’s Play Time, The Artie Lange Show, HBO’s Boardwalk Empire and will appear in the upcoming feature Go/Don’t Go in 2019. His standup can be seen on Conan, and he has appeared in many videos on College Humor and was featured on WNYC 2’s Dope Queens Podcast with Phoebe Robinson & Jessica Williams. Davis also wrote on Seriously.tv and on Jessica Williams’ Comedy Central pilot. His self-produced Amazon special You Guys are Dope is out now and his upcoming album, Too Woke will be out on November 23 (Black Friday), 2018 on Blonde Medicine.